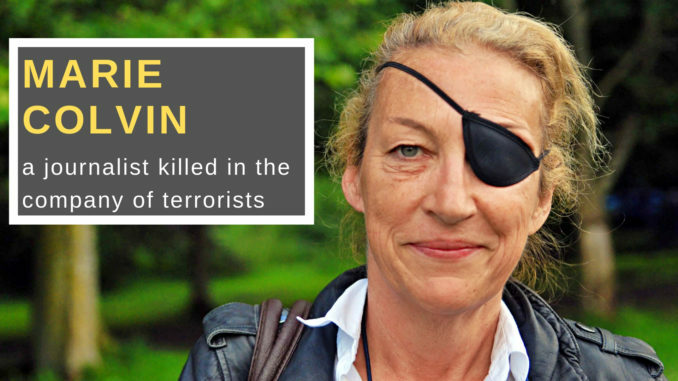 Kevork Almassian discusses the story of Marie Colvin, who was an American journalist and senior war correspondent of the Sunday Times from 1985 until her death in 2012 in Homs, where she illegally sneaked to #Syria from #Lebanon with the help of the so-called “Free Syrian Army”. Colvin’s family suing the Syrian government, accusing Damascus of deliberately killing Marie by bombing the Media Center that she was located. An American court ordered Damascus to pay $302.5m in damages.